Here we are presenting the top 5 reasons to choose a Windows phone over Android/iOS. Windows Phone is quite different from the more popular Android/iOS operating systems. You might be fascinated about an Android/iOS device you own but these 5 reasons will make you think over your decision again. 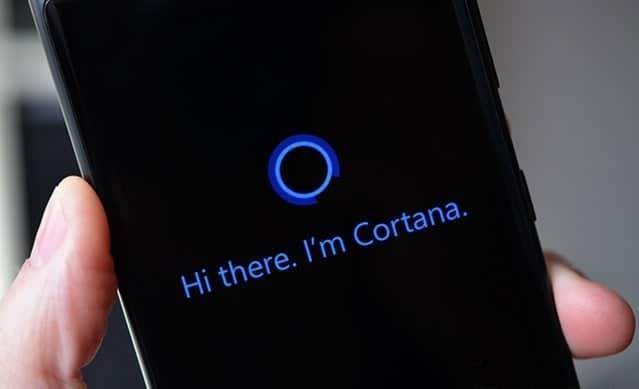 As many of you know, Cortana is the world’s most personal digital assistant. The name Cortana is taken from the popular Halo game where there was a virtual AI assistant named Cortana. She is able to do such tasks that no other virtual assistants can perform. Apart from all the assistant type of tasks like taking note, reminders and searching things up, she can do unique tasks also, like she can recharge your phone via voice command using the Freecharge app or something more interesting like ordering a pizza via voice command using Domino’s app. She can even reserve seats for you in a good restaurants, give her predictions for a match. She’s is more than what an assistant really is, she is personal. She can sing songs, crack jokes and even narrate stories. She can answer your queries rather than showing a search result in most cases. The list is so long that it cannot be presented here. She’s such a fun. Anyone would love to choose Cortana over Google Now and Siri. 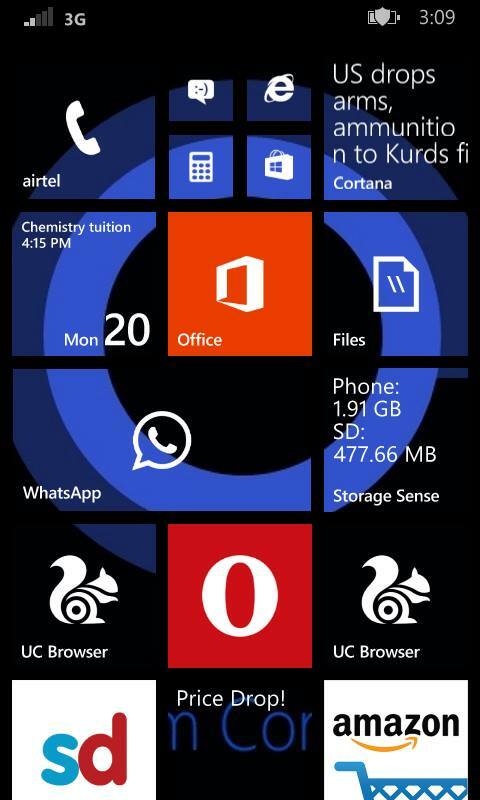 Live Tiles are what makes Windows Phone’s UI very beautiful, informative and different from Android/iOS. Live Tiles apart creating shortcuts for apps and making your screen beautiful, allow you to quickly take a glimpse of information from respective apps with a glance. While Android/iOS uses static icons or widgets, Windows Phone Live Tiles allow apps to display mass information, updating every minute or so, without putting much stress on the battery backup it offers. Since, Live Tiles can be easily resized; many more Live Tiles can fit onto a screen rather than Android Widgets. The info showed by the Live Tiles is simply very useful. For example, the Live Tile of Cortana flips to show your news of your interest; the Live Tile of Calendar app shows the events of the present and next day; the storage sense Live Tile shows the amount of space free on your phone and SD card. With Windows Phone 8.1, Windows phone has the ability to fully customize its lock screen. While Android and iOS, both provide beautiful semi customizable lock screens, Windows Phone’s Live Lock screen allow third-party apps to fully control of your lock screen. You can see your Facebook albums, Reddit gallery, weather forecast etc. A new Live Lock Screen beta app provides you with few different lock screens to set. It completely changes the way lock screen responds to your slide up. Okay, not all Windows Phones are Lumia but the majority of them out there are. 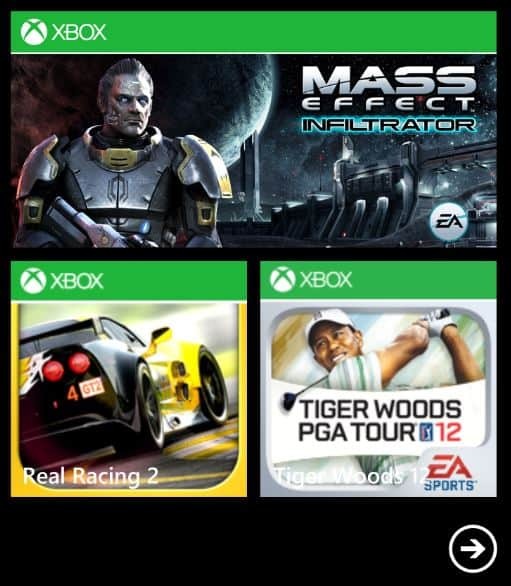 Among thousands of other apps in the Windows Phone store, Lumia exclusives ones have their very own special place. They are different, they are useful and they are for Lumia users only. Among other Lumia exclusives app, Glance Screen is favorite of all, although it does not support few of the devices without ClearBlackDisplay Technology. Glance screen allow you to see time and notifications by simply peeping at the screen, without having to wake up the device, sounds good! Other useful Lumia Exclusives apps include Nokia Camera, Lumia Creative Studio, Lumia Panorama, Lumia Cinemagraph, and Lumia Selfie. Hubs allow you to have different related features all in one location. For example, you don’t need to jump between address book, Facebook, Twitter, LinkedIn and other groups, simply launch the People Hub and all the needed information is there at one place, weather it be the latest tweet or post. Other Hubs include the Music Hub, Video Hub and Games Hub, you don’t need to jump here and there around our phone for searching for a music/video/game like in Android. In Windows Phone, you get all the related info in one place using Hubs. Feel free to share your favorite feature in the comments below.